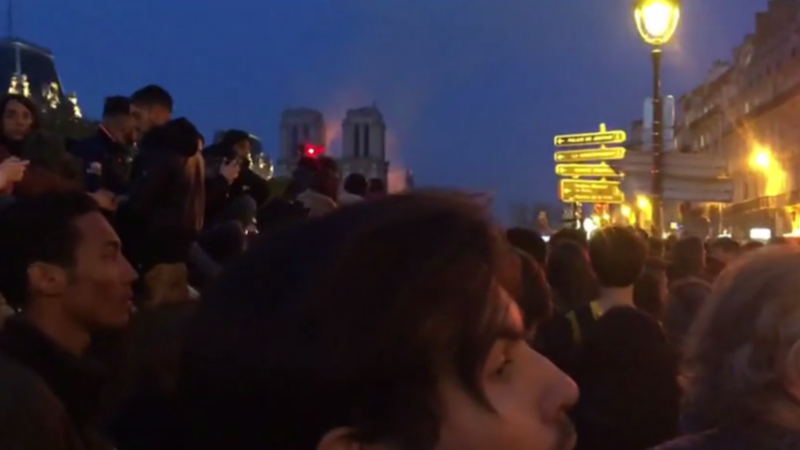 Shocked by the roaring blaze that devastated one of Frances iconic landmarks, people have been singing hymns and praying not far from the site where firefighters are still trying to contain the fire consuming the building. Photos and videos on social media show many French people praying in desperate hope that the cathedral, which has seen its entire roof collapse as a result of the blaze, could still be saved, at least partially. Some people were seen on their knees on the streets leading to the banks of the River Seine, from where one could see the site of the tragic event. They were praying and singing hymns in chorus. Others were seen crying or just standing in shock as they apparently could not believe what they were seeing was really happening. The Gothic architecture jewel almost completely burned out in about three hours. The cause of the blaze remains unknown.